Recently of Tuncurry and formerly of Wingham & Killabakh. Passed away peacefully on Tuesday 26th February 2019. 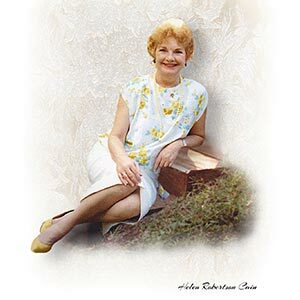 Beloved wife of John (dec). Loving mother of Margaret (dec), Vicki & Neil, Helen & Graham and John. Cherished Gran of Aaron & Stephanie, Callum, Connor and Keegan. Will be sadly missed by all her extended family and friends. Helen’s Graveside Committal Service is to be held at Manning Great Lakes Memorial Gardens Cemetery, Pampoolah, commencing at 9.30am on Monday 4th March, prior to a Memorial Service at Wingham Baptist Church commencing at 11.00am.